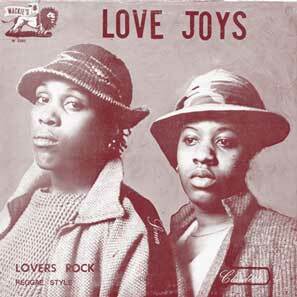 Rhythm & Sound inaugurates its Wackies reissue series with 'Lovers Rock', by the Love Joys. For this recording the duo were cousins Sonia Abel and Claudette Brown, originally from Brixton, England. This women's roots album is a milestone in reggae, a refreshing departure in a tradition dominated by men. With the classic Wackies sound magnificent behind them - lovers rock, showcase style, in extended versions - the duo beautifully and skilfully meshes social critique and affairs of the heart, from a woman's point of view. 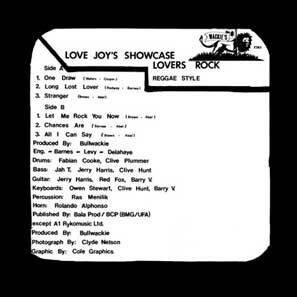 'Lovers Rock' is one of the best and rarest albums on the legendary Wackies label.